Then finally I see Haydn is giving a key note at the HYPE Innovation Managers Forum on May 28-29 2015 at the Kameha Grand Hotel, Bonn, Germany and I can assume it will be around this disruption that is occurring. I’m not going sadly and I gather all booking are now closed as the all-star cast promises to deliver a worthwhile couple of days to those going. So after giving a friendly endorsement to all the great work that Haydn does and a few plugs to HYPE and all its supporting activity around disruption, now I’ll get back to my own disruption thoughts. I picked up on Haydn’s option pathways from the webinar and certainly liked this; it set me off on my own little journey of relating, underpinning and evaluating this. So I emailed Haydn to get a better view of his option pathway. He replied “Options pathways is something I discuss in Shift - it's just a language I started using. The inspiration comes from real options theory which is too complex for the innovation world so I have been trying to simplify”. Ok one of my starting points is always to go back to the source. Option pathways are those viable options by being proactive, ones that are anticipating and structuring the options ahead so you can react to sudden changes, more sketched out scenario’s representing variables or triggers, to be better prepared for possible attacks, vulnerabilities and changing opportunities. Haydn was suggesting you also cost out different decisions ahead to be ready, have these fleshed out, then discussed across the people involved in those disruptive force decisions so you are ahead in your thinking on how to respond. One of Haydn’s recommendations was having these option pathways walked fully through with the CFO so it gives him the understanding well before hard decisions are being made, when you are in the middle of handling the dynamics of disruption. This seems to help work out option pathways well within my mind, of their value in our needs to be far more prepared for our disrupting moments, bearing in mind these are occurring more frequently. What more can I learn or even add to this? I decided to widen the idea out a little and came across some (nearly buried) academic papers, but thanks to Google they came alive for me. 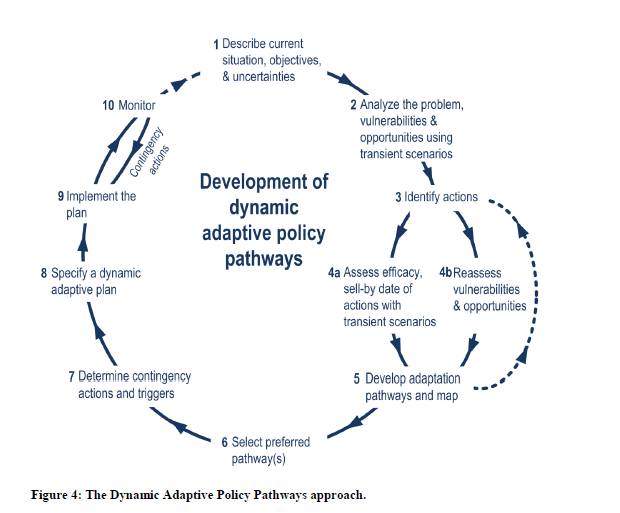 These identified Adaptive Pathways and they fit within a policy approach. The two papers that ‘worked for me’ in what I was looking for were mainly dealing in the environmental change dynamics where you had to have a lot more adaptive thinking within the planning process that describe different types of actions (for example mitigating and hedging actions). The view here is as we anticipate and determine, we experience and learn, as the future unfolds. The more we are open to this the more we can become responsive to disruption. The more we talk and describe “uncertainty” where we can paint different visions, or by using Haydn’s “decision model canvas” to promote learning and awareness, so we have ‘options’ in place when situations change, or even when you feel the conditions are right for you to prompt that disruption yourselves. I think these are useful as a thinking through sequence, with some adjustments to account for a business environment and its planning and future casting needs. I felt these two frameworks help me add even more to Haydn’s option pathway thinking. I have been completing a fair amount of pioneering work on mapping the required innovation capabilities one needs to have in place to manage the innovation needed. I have a dedicated web site on this www.innovationfitnessdynamics.com (some friendly “think of me” advertising). I outline the journey first and then explore the different parts within this work. The one part relevant to this disruption thinking is on fitness landscapes and we need to move across the rugged terrain as we move towards our goals. For example, we need to prepare our capabilities for what it is required to do and what might be required, then to generate your innovation fitness for today’s solutions and tomorrows challenges. This is framed into a journey with nine steps. 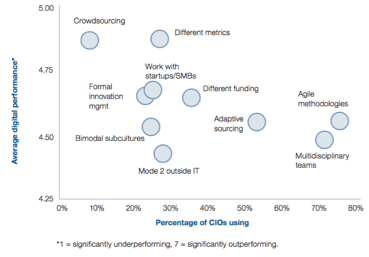 In my view, the way we currently set about developing our innovating capabilities is holding innovation back. We are highly vulnerable to attack if we have not ‘honed’ our innovation skills, recognized what is valuable, what is nice to have, what is simply around as needed. 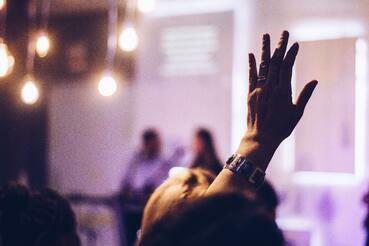 If we have ‘no clue’ what the dyanmic innovation capabilities are, then how do we know what, when, where, how and why for delivering any innovation that can ever be distinctive enough. It is through knowing these dynamic capabilities and leveraging these we have a greater chance to hold the external disruptive forces back and we can equally, with growing confidence, become the ‘disrupting force’ to be reckoned with. Mapping the terrain of options of where you would like to be. 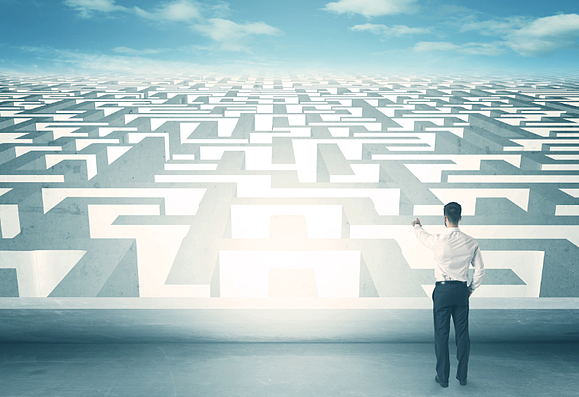 You need to develop a preferred roadmap of where you want your innovation to take you but you certainly need to have developed your options, as no pathway is straight and uncomplicated. By fleshing out your ‘terrain of different realities,’ you are able to describe much of the work, design, thinking and preferences that give you an enduring strategy. You are formulating a fluid plan that sets out detailed reasoning of how you can disrupt others or react to disruption from others, simply by the amount of organizing principle and details you build into these option pathways. Identifying these potential future forces shape your choices and ‘informs’ your innovation activities you need to develop and provides the scoping possibilities to be far more ready to respond to these forces of disruption. Recently I introduced the three horizon methodology within a post Using the Three Horizons Framework for Innovation. You can find more out about this framing approach on my website and also in a recent opening pdf deck offered through HYPE: Exploring the Three Horizons Framework. This 3H framing gives you the ability to think in different mindsets and map out the present, near term transitional points and look into the future and anticipate change. It augments the option pathways and the mapping of the terrain you need to travel. Any option pathway needs crafting, it certainly needs fleshing out, it can help inform yourselves and others around you about different alternatives and actions. Thinking through disruption is not just very healthy to do but essential, in order to survive and prosper. We need to look towards the future and be as ready as we can, in anticipating its disrupting forces that are constantly bearing down on us. 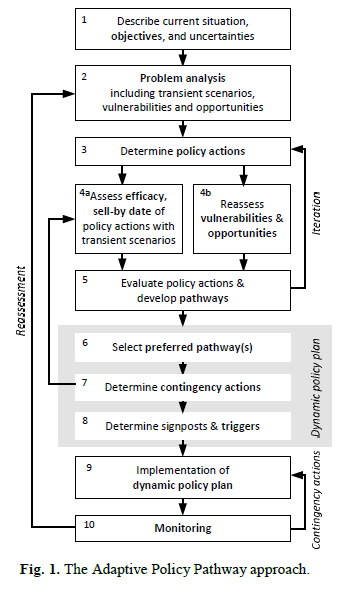 Dynamic Adaptive Policy Pathways: A method for crafting robust decisions for a deeply uncertain world . Marjolijn Haasnoot, Jan H. Kwakkel, Warren E. Walker and Judith ter Maat.